Today was Day #11 of Chocolate and Coconut Theme Week, and Day #2 of Chocolate Beverage Theme Week. Is it possible to have milk and cookies, if you can't have dairy products or conventional wheat flour? Well, yes it is. 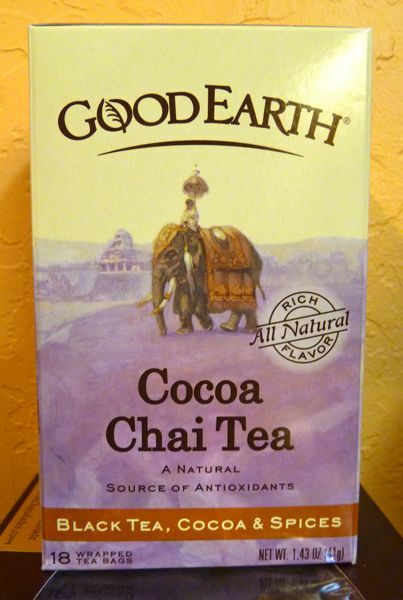 The milk in this case was an Almond Coconut milk blend flavored with Good Earth Cocoa Chai Tea. 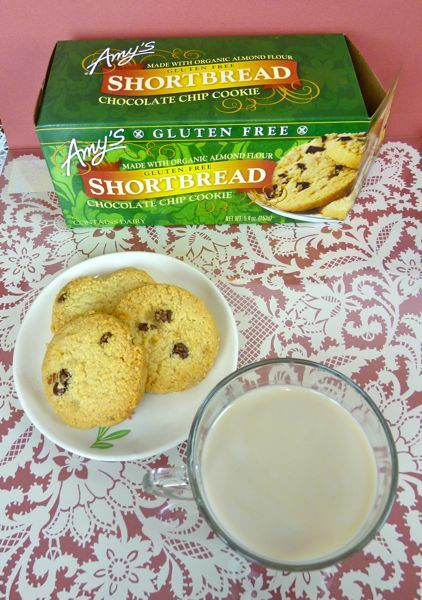 And the cookies were gluten-free chocolate chip shortbread cookies (that will be featured in a future post). And all was right with the world. Milk and cookies are very reassuring comfort food items.